Even if your nana tells you that she has everything and you should not worry about the gift, do not listen to her. It is certainly the case when you should make every effort to find something extra special for a grandma who means so much to you. The good news is that there are a lot of practical, touching, meaningful, and memorable possible presents that will make her absolutely happy, and we selected the best ones for you. Are you looking for something practical and at the same time meaningful, something your beloved nana will use for years to come? Take a glance at these cool aprons! They are perfect for any household activities, from cooking to barbecuing and will last for years. What is even more important, each of them carries a funny and pleasant message. Is not it the great idea to wear a reminder that you are the best grandma in the world? Such jewelry stands among all the presents you can give to your grandmother. These necklaces are not just the beautiful pieces she can wear with the evening dress; they are the symbols of your strong family, the symbol of endless love and respect all her children and grandchildren have for her. Let her keep this wonderful souvenir next to her hear and do not doubt that she will be pleased to get an opportunity like this. Rest becomes even better when you relax in luxury, style, and convenience. How is it possible? 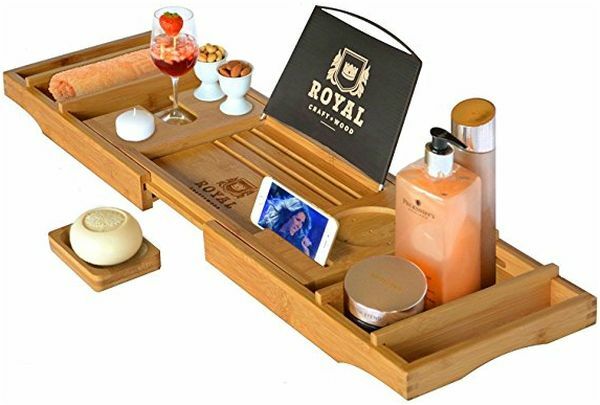 The answer is more than simple: by getting your grandma a nice bath tray that easily holds books, tablets or phones, candles, and glasses of wine, you will provide the ultimate relaxation that can hardly be compared to anything else. You can be sure that she will absolutely love it once she tries it! Most of the gifts for grandmas offered by various companies are family-oriented. In other words, they are the sweet reminders that they created the strong family, the members of which will always remember about her heroic deed full of love, respect, moral courage, and sacrifice. However, sometimes it is better to choose something only for her, something that will highlight her unique personality. 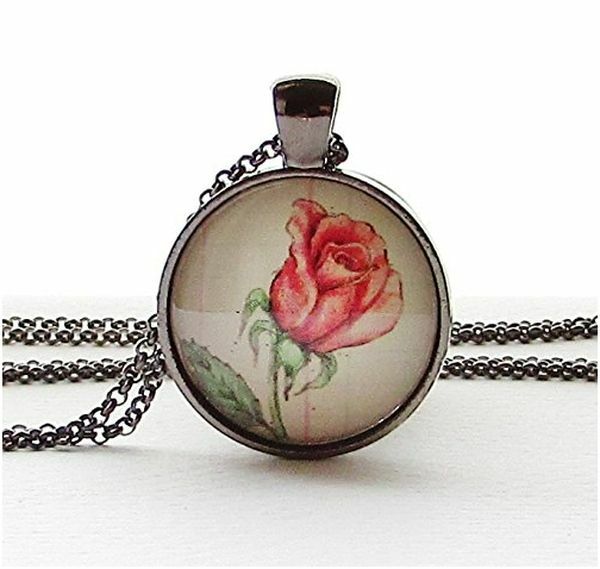 In this case, the wonderful birth flower necklace will be the best choice. Forget about the flower pots, curtains, sculptures and get your beloved nana something funny a creative, for example, a nice T-shirt that tells the world who is wearing it. There is a wide choice of pieces of clothes with funny prints your grandma will definitely like and wear proudly. Moreover, you can also pair one of these shirts with a mug or a frame and get the awesome thematic gift set. Heartfelt and beautiful accessories that go great with any outfit will make the perfect gift for any occasion, from Christmas to Mother’s day. 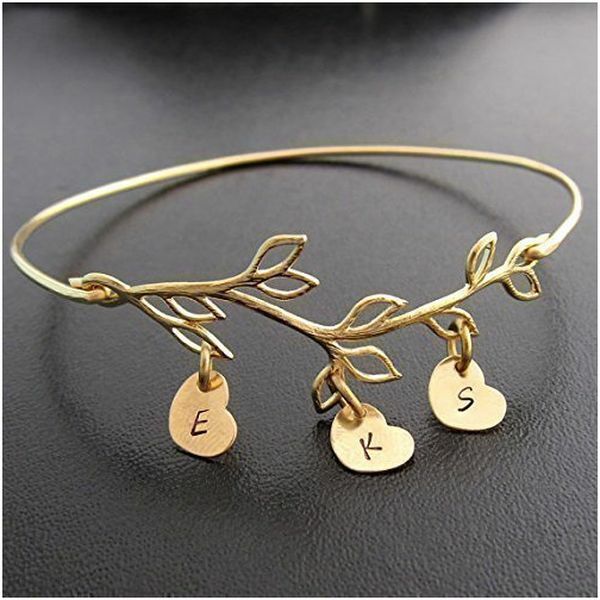 The biggest advantage of personalized bracelets is that they are customized easily, so nothing limits your imagination. Do you want to get your beloved grandma a piece of jewelry with the unique message from you? No problem, a lot of the companies will engrave it on gold, silver or steel bracelet. 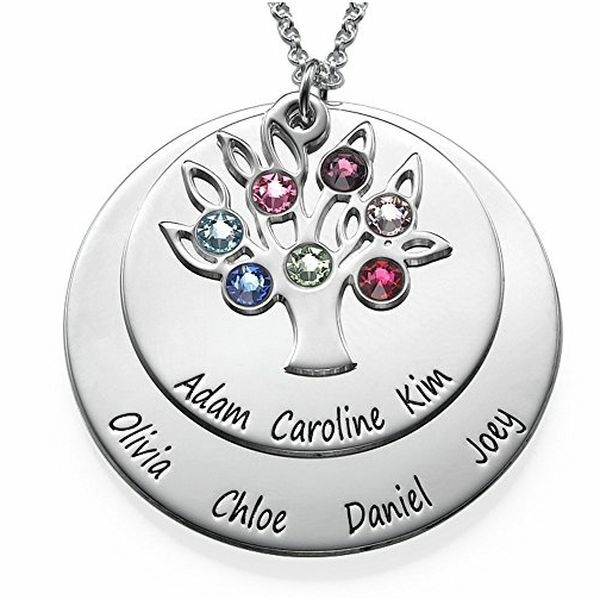 Do you want to get her a wonderful souvenir with the names of her children and grandchildren? Today it is easy – just choose the company and contact it to describe your idea, and your present will be a hit! 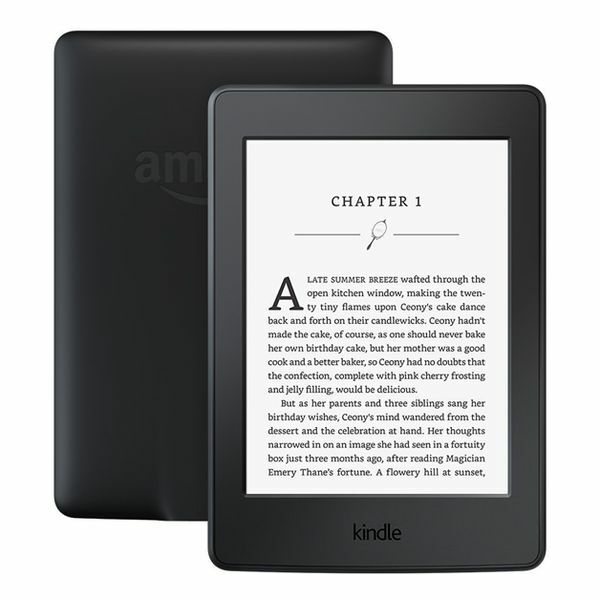 Introduce the new technologies to your nana by getting her one of the awesome Kindle e-readers! Even if she is old-school and prefer to read paper books (we bet that she tells that they have a special spirit), she will still appreciate the advantages of her new device. They are numerous, actually. Such ebooks don’t tire the eyes in the dear, adjust text size, allow sharing the library, and have a battery charge that lasts for weeks. Who would not want to have a miracle like that? 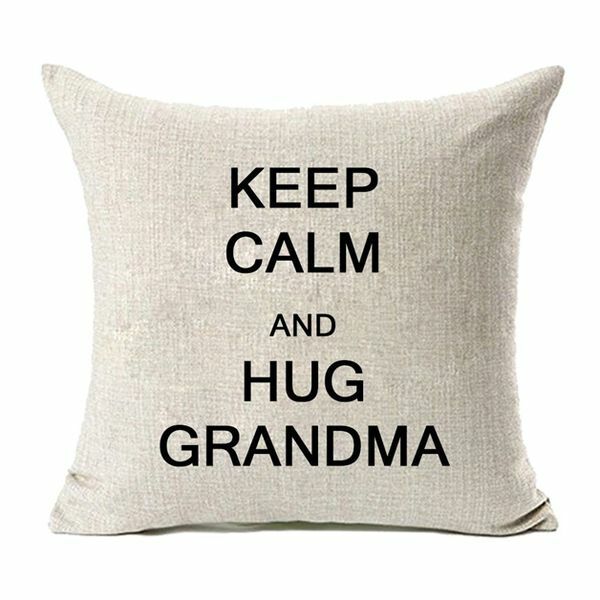 What to get a grandma who tells that she has everything and wants nothing? Although the task seems to be complicated, the solution is simple – just choose something really touching, for example, the great life story frame. 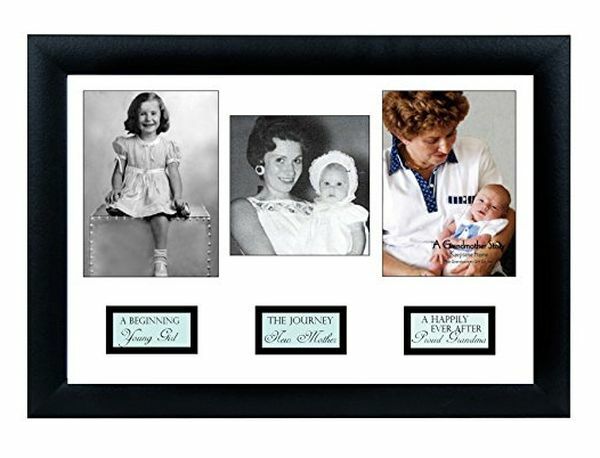 It will be the perfect family keepsake – even the next generations will be able to look at the wonderful photos telling about the remarkable family milestones. Your grandma will surely like such an idea! So, your close friend, mom, or sister finally got promoted to grandma. Is not it the occasion to celebrate? You should definitely choose something that will remind her of this big event, something thematic and at the same time useful. What about a cute coffee mug for a nana who needs some more energy in the morning? 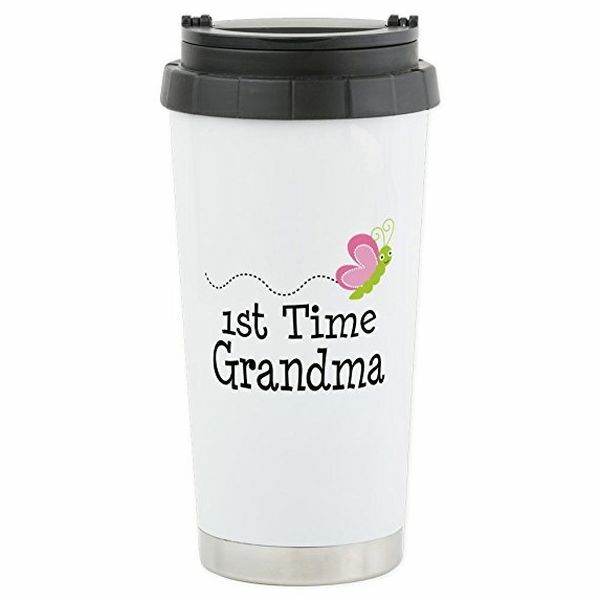 Or maybe the nice travel mug with the cool message for a grandma on the go? Cute souvenirs, beautiful jewelry, nice pieces of decoration are undoubtedly great; however, you cannot give them to your grandma every year. Sometimes you just need to choose something really practical, something that will make her life easier and her mood better. 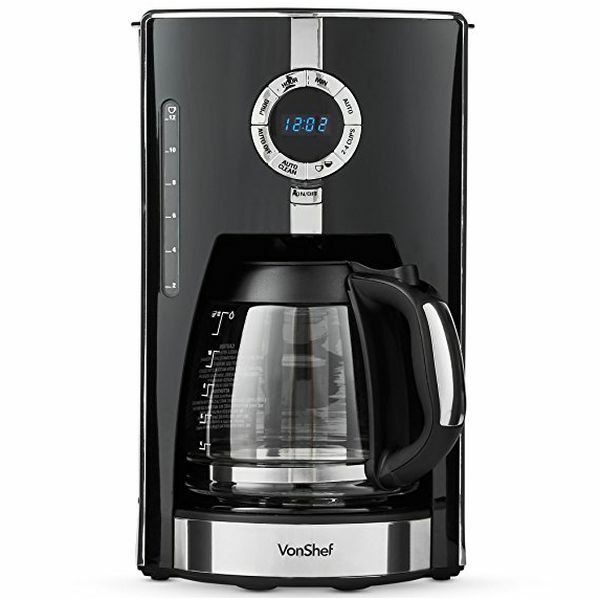 If your nana is a big coffee lover, the top-quality coffee maker will fulfill this function perfectly. No need to go somewhere to enjoy the cup of delicious drink – having a great machine at home, she will have a fresh coffee pot waiting for her every morning! Is there anything cuter than tiny baby hand and footprints? Maybe only the prints of your grandchild? 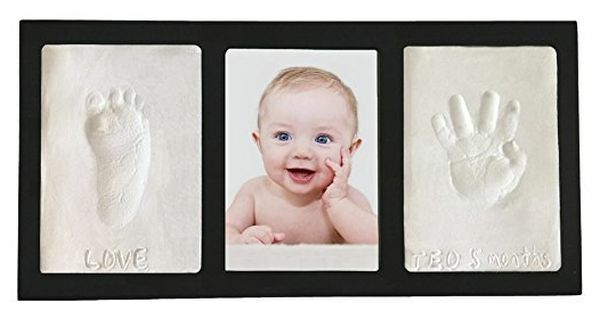 If you are looking for a perfect gift from a baby, you will not find anything better than these fantastic kits that include everything you need to capture the most precious memories easily. This gift idea is perfect in every way, and your grandma will be happy to get it and hang the beautiful frame on the wall. 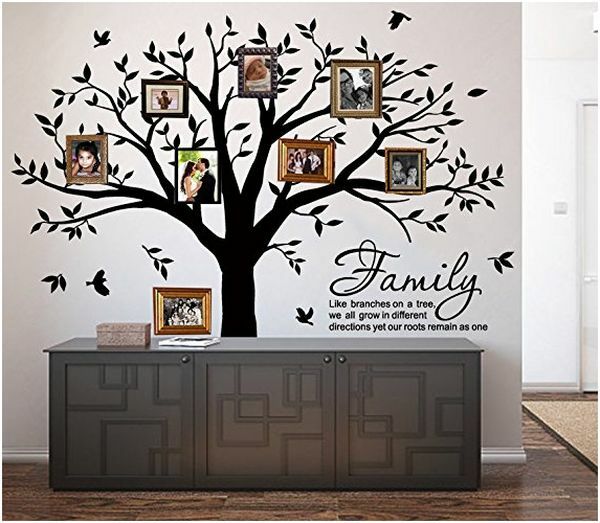 Family tree wall decals turn any space into a family nest, a place that reminds you that you are always surrounded by close people who love you so much. They are really easy to apply, so your grandma can easily handle it, but you can also turn this process into a remarkable event – what can be better than working on this miracle together with your children and grandchildren? 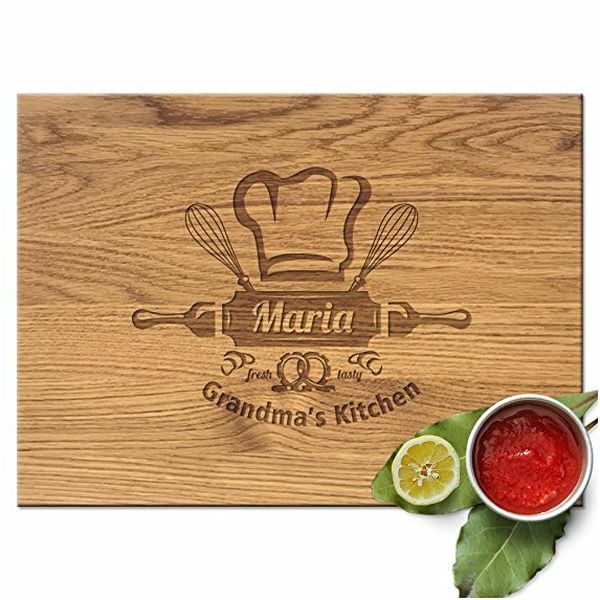 If a grandma is spoiling you or your kids by creating numerous culinary delights, you will not find better present than a high-quality cutting board with a heartfelt message engraved on it. However, do not expect that she will use it day by day – most of such boards are so cute that she will hardly cut anything on them. It is likely that she will hang it on the wall proudly for every guest to see how loved she is! 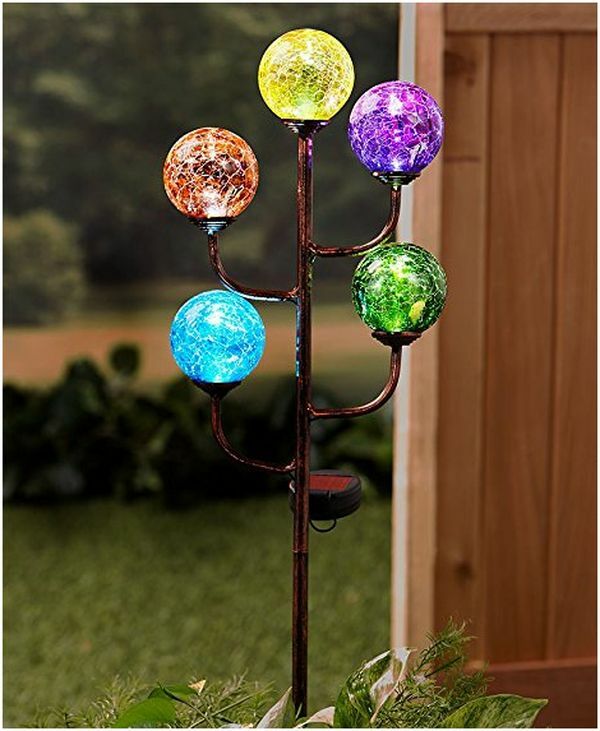 If your nana cares a lot of her garden, if she wants it to look perfect and spends a lot of time in specialized stores looking for the adorable sculptures and beautiful plants, do not ignore her passion and get her a decorative garden light she will be really happy to receive. This category of goods includes the lights of different shapes, from cute colorful flowers to birds and elegant stakes, so all you need to do is to choose the one you think she will like the most. Well, this is the gift for people with a great sense of humor, and if your grandma is one of them, she will be thrilled by such a unique item! 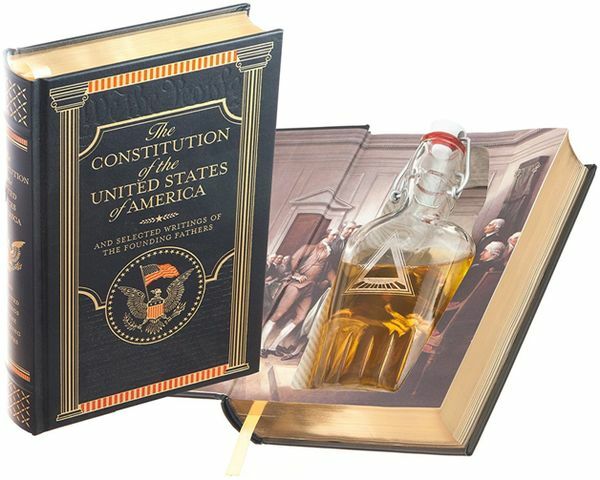 She is adult enough to do whatever she wants, even to keep a flask with whiskey in the Constitution of the United States! 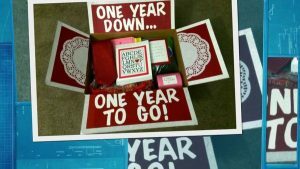 The very fact that it will be your little secret makes the gift extra special and really funny. Adorable postcards are undoubtedly great, but you hardly can display all of them visibly, particularly, you cannot keep them on a couch. However, there is a nice alternative that will make a grandma feel really proud. 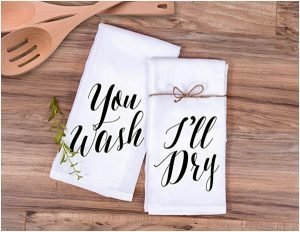 If you are looking for a cool gift from a grandson, you should definitely draw your attention to these awesome pillowcases with funny and touching etchings. Do not even doubt that the nana will be touched by this sentimental gift! Your grandma spoils you all the time, so maybe it is time to spoil her by giving a luxury spa basket that will provide her the new level of relaxation experience? You can be sure that she really needs it. Come on, who will refuse from beauty products with sophisticated scents that hydrate your skin and make your mood a lot better? We bet that a granddaughter knows the tastes of her nana well and will not go wrong with such a gift. Why do grandparents like sentimental gifts this much? It happens because they have already achieved success in their lives, and now it is time to harvest the rewards, the most precious of which is the love of the most important people, the members of the family they created. Show your grandma how deep your love is – it is the most precious gift from you. The nice “nana and me” picture frames will help you express your deepest feelings and show that you appreciate everything she does for you. 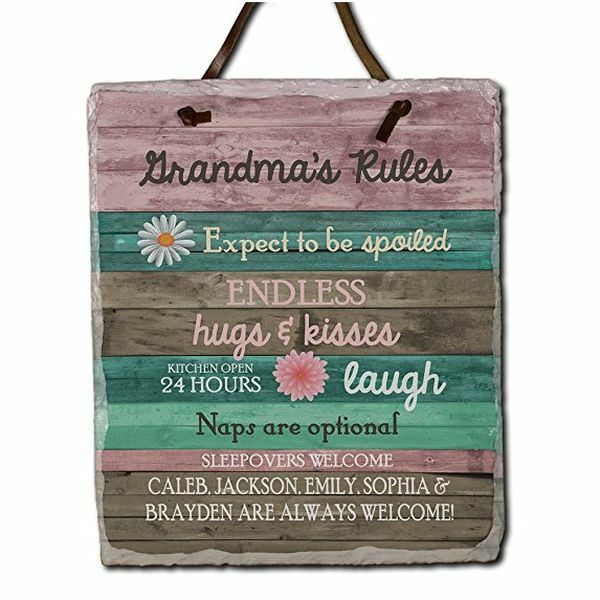 Show her that you respect her rules by getting your grandmother one of these unique plaques! 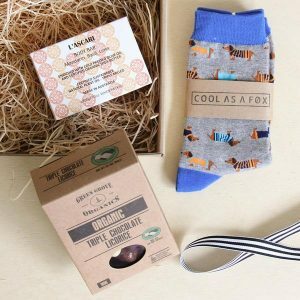 They make the great gift for any occasions, from Mother’s day to Christmas. The list of the rules of them is usually hilarious, and at the same time true, so your nana will proudly hang it in her house. Generally, such plaques are the great creative pieces of home décor designed especially for her!